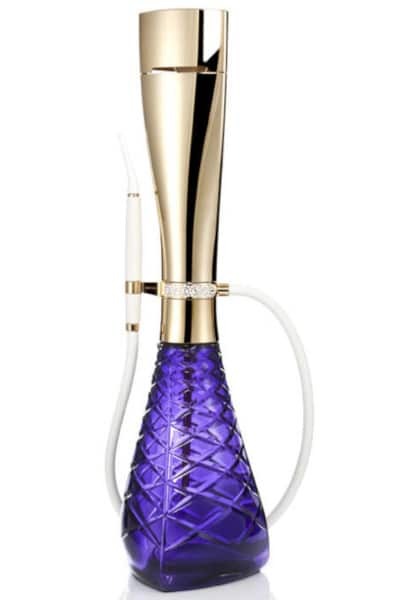 The Carat shisha pipe combines the most elegant Swedish heritages: a crystal-cut hand blown Orrefors vase and exquisite reindeer antler carvings in a mouthpiece made by the indigenous Sami people. When not in use, a strategically-placed magnet holds the mouthpiece perfectly to the tower. 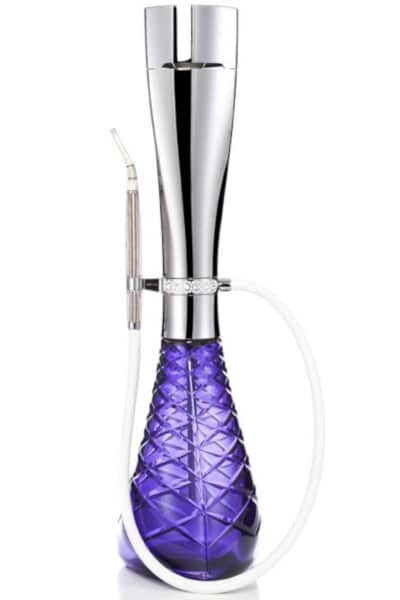 The patented center ring is not only beautifully embellished with Swarovski crystals on all sides, but also engineered to allow the pipe to rotate around its own axis. 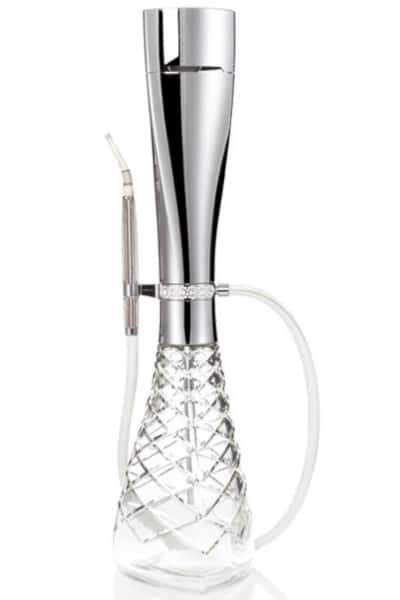 It is available with different crystal-color vases and smoke-chamber finishing either in silver or M 24K gold.